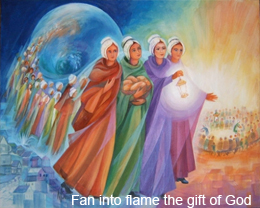 As Presentation Sisters we are called to respond to evolving needs. There is a special richness and challenge about being part of an international congregation, living one common mission. What unmet needs do you see around you today? Do you feel that you have some of these skills and gifts? If you think that you might have a call to Religious Life or to the Presentation Sisters, please contact us.